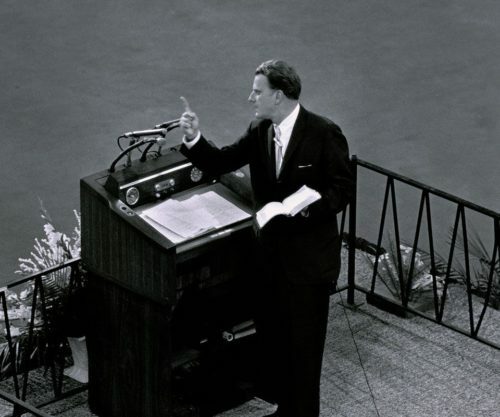 He was tall, good-looking, very American, hugely appealing, but he made a difference only because of his message – which resonated not just because Billy Graham spoke the words. It’s because he lived them. Read my post, Billy Graham, RIP. Contrary to what the Left would like you to believe, Christians have not only a right but a grave duty to legitimate defense. Epiphany — which is variously known as Theophany, Three Kings Day and El Dia de los Tres Reyes — is a Christian celebration of the revelation of the birth of Jesus to the wider world. This is embodied most in the story of three wise men visiting a newborn Jesus with gifts, found in the Gospel of Matthew 2:1-12. 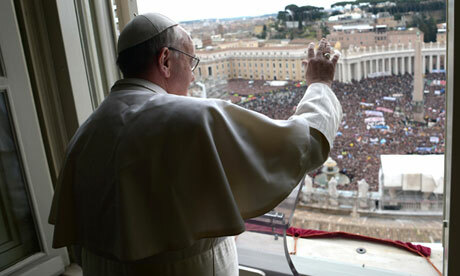 From the pulpit at the cathedral he sternly criticized the Kirchners and denounced the country’s extreme poverty. The way I see it today — which may change as we get more information — his concern for the poor does not at all make him a liberationist socialist. He seems to be taking the same approach as John Paul II and Benedict XVI, who dished out condemnations of the callousness and materialism of Western culture while at the same time condemning the evils of communism. Their focus is materialism, an attitude that runs against Christian ethics, not capitalism per se. (Liberationists tend to see capitalism itself as evil, and communism as the utopian cure). I apologize to all my readers (and to the Pope, too). “miserando atque eligendo” (Latin for “because he saw him through the eyes of mercy and chose him”), a phrase taken from a homily by the Venerable Bede, an 8th century English monk, describing Jesus’ call to Matthew to follow him. Prayer vigils for government programs? On Wednesday, White House officials summoned dozens of leaders of nonprofit organizations that strongly back the health law to help them coordinate plans for a prayer vigil, press conferences and other events outside the court when justices hear arguments for three days beginning March 26. Hmmm. A prayer vigil for Obamacare. This seems to me something of a category error with seeds of comedy buried in it. 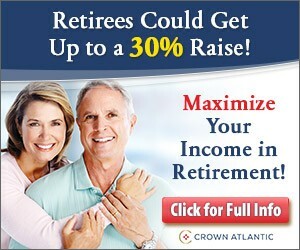 Something tells me these folks lack a finely honed sense of irony, or maybe even a deft political touch. This is the same administration who has the President call an activist set on overturning a religious institution’s policy. We live in an increasingly secularized world of massive and pervasive nation states in which traditional religion, especially Christianity, is ruled unwelcome and even a real danger on the basis of a purported history of intolerance and “religious violence.” This is found in most all “public” domains, including the institutions of education, business, government, welfare, transportation, parks and recreation, science, art, foreign affairs, economics, entertainment, and the media. A secularized public square policed by government is viewed as providing a neutral, rational, free, and safe domain that keeps the “irrational” forces of religion from creating conflict and darkness. And we are told that real progress requires expanding this domain by pushing religion ever backward into remote corners of society where it has little or no influence. In short, modern America has become a secular theocracy with a civic religion of national politics (nationalism) occupying the public realm in which government has replaced God. Yesterday in Paris, Charlie Hebdo got firebombed out of existence for daring to publish a special Charia Hebdo issue. So, yeah, the violence inflicted upon Charlie Hebdo was outrageous, unacceptable, condemnable, and illegal. But apart from the “illegal” bit, Charlie Hebdo’s current edition is all of the above, too. Had TIME kept that title it would have saved having to read the rest. Bruce Crumley, Paris bureau chief for TIME, helps shape TIME’s coverage of France and Europe in areas including business, politics, religion, terrorism and sports. He has been particularly active in TIME’s coverage of al Qaeda-sponsored terrorism since September 11, 2001-an area he has followed closely since 1994, when France became the favored European target of Islamist extremists. Helping “shape TIME’s coverage” with full sympathy for the arsonists.